California Gold natural slate is a stunning combination of earthy gold, rust, charcoal, red and blue hues. 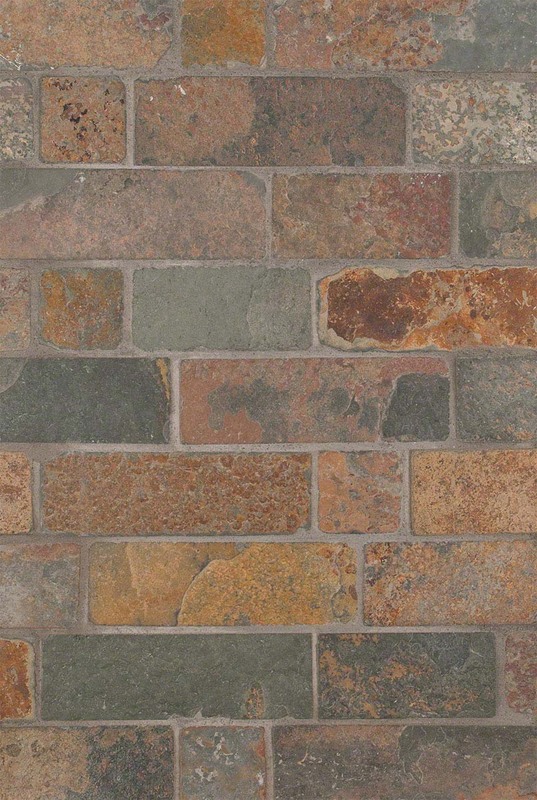 And, our California Gold Tumbled Brick Pattern tiles are mesh-backed for easy installation and the tumbled finish lends rustic feel. As one of our most popular backsplash designs, this tile is perfect for use as a kitchen backsplash, bathroom backsplash, or accent wall. It is ideal for styles from traditional to shabby chic.